[Blind Gossip] There has been so much fakery involved in promoting this singer’s latest work that we almost hate to point it all out. But we’ll do it anyway. Nothing was actually leaked or stolen or dropped accidentally. It was all planned. They always knew that the teaser tracks weren’t going to be included. And she’s not really dating that other music artist again. It’s all just part of the marketing tease. Yes, it’s just one giant wave of fakery for this artist. You shouldn’t be surprised. After all, she learned it from two of the biggest fakers in the music industry! You can expect more drama from these people in the next week or so. [Optional] Good marketing… or annnoying? [Optional] Good marketing… or annnoying? : I love Rih, but this is NAGL. [Optional] Good marketing… or annoying? It keeps her from having a “commercial/sales” flop. The album is hot garbage. Rhianna. Clues are th pic us a tidal wave that is the name of jaz new company also i guess her and Chris Brown who is the other artist is not back together and lastly she learned from beyonce and jayz the biggest fakers in the music industry. I agree with your guess. I saw an article yesterday about her dad saying he would be supportive if Rihanna and Chris got back together, as he loved him like a son. He made a mistake, had help, changed, etc. Other Fakers: Jay-Z and Beyonce? Rihanna and the leaked tracks and track list from Anti. Leaked by Tidal, hence the title of this BI. And she’s rumored to be dating Drake again. She learned from Jay Z and Beyonce. Frankly, I hadn’t noticed this at all until I read this item and started looking. I guess “leaks” are by now so commonplace that they’re pretty much accepted marketing strategy. Definitely Rihanna. 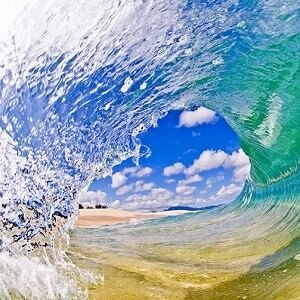 The wave picture? Tidal is blaming a system error on the leak of her music. Rihanna/JayZ & Beyonce…Annoying. Just drop the music! The wave makes me think of Kanye… But who’s the girl that’s not really back with the musician?? Maybe Amber Rose and Wiz Khalifa? JZ and Mr. Kim K? This is Rihanna, who released Anti on Tidal hence the pic. Prob orchestrated by bey and jay z.
It’s all very annoying. I’m a fan of Rihanna’s music, but I think that her new stuff is just not for me. Rihanna is the singer and Beyonce and J-Z are the fakers. Fakers: Jay Z and Beyonce? At first I thought this was going to be about Zayn, but then realized it’s Rihanna. Other fakers Jay Z and his wife who will “reveal” a baby bump at Sunday’s game, throw Chris Brown in the mix too. This is Rihanna with her leaked tracks. The other big fakers are Beyonce & Jay Z. Nice touch with the wave Ace! Tidal (wave) being Jay Z’s streaming service where he leaked the tracks from. I used to find her annoying, luckily haven’t heard much about her lately. Rihanna, the other fakers are JayZ & Beyonce. waves …Isn’t that Kanye ‘s name of his new album…. I wonder if it has anything to do with him….